LOS ANGELES — The Coast Guard is “approaching a tipping point” when it comes to maintaining a service that can respond in times of need, the service’s top officer said Thursday, requesting more money from Congress and highlighting a backlog of projects that has stacked up for years. 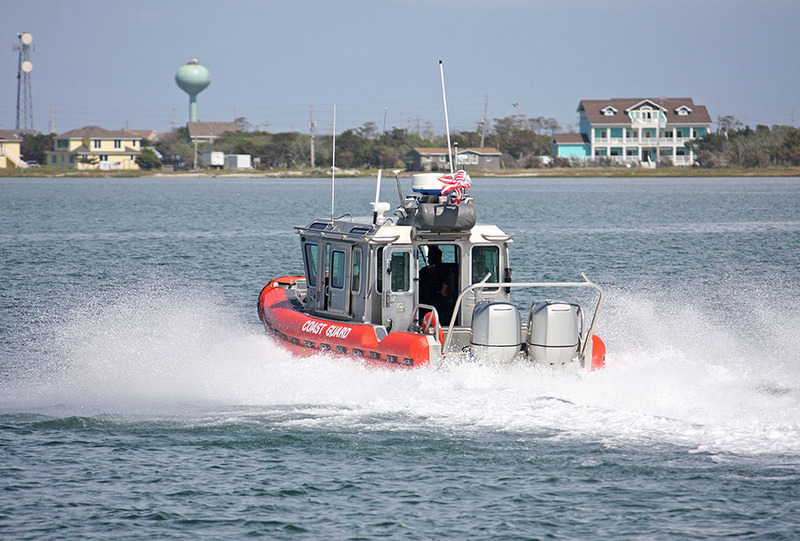 Adm. Karl Schultz, the Coast Guard commandant, said that he is thankful for an increase in funding the service received in 2019 to build new vessels but that the service still has an operations budget that has “essentially been flatlined” over the past eight years. Schultz, speaking on a lawn overlooking the port of Los Angeles, requested a 5 percent increase in the service’s 2020 operations budget, up to $7.9 billion, and an overall budget of $11.34 billion, up from $10.6 billion. The service has long had a reputation for keeping aging equipment working, and Schultz said it faces “very real readiness challenges” that must be dealt with. The comments came during a State of the Coast Guard speech, nine months after Schultz took over as the service’s top officer. In that time frame, he has been forced to deal with a government shutdown, caused by disagreements over President Trump’s proposed southern border wall, that left service members without pay for weeks and most civilian employees furloughed. The Department of Homeland Security, which oversees the Coast Guard, has also reprogrammed millions of dollars in Coast Guard funding to assist Immigration and Customs Enforcement amid a crackdown on illegal immigration by the Trump administration. Schultz did not mention the reprogramming in his speech but addressed it in an interview Tuesday as he flew from Washington to California. Money was reprogrammed, but the service is part of the “DHS team” and has received strong support from Homeland Security Secretary Kirstjen Nielsen, he said. The admiral also downplayed the effects of the shutdown, which internal Coast Guard documents first reported on by the New York Times said caused “tremendous backlogs of contractor work” in the service and a “domino effect” in delayed maintenance that could leave the service short of working aircraft. Schultz indicated that the problems were not as severe as characterized. The service should be “pretty much reconstituted” by May, he said, and is about 75 percent of the way back now. Schultz expressed gratitude for new vessels the service is fielding, including the 418-foot national security cutter that is now considered the centerpiece of the Coast Guard fleet and new 360-foot offshore patrol cutters that will replace vessels that are in some cases 50 years old. Each national security cutter will be equipped with a ScanEagle unmanned aircraft, something the service already is experimenting with in cocaine interdiction operations in the eastern Pacific, Schultz said. Schultz also underscored the Coast Guard’s desire for new polar icebreakers. The nation’s one working heavy icebreaker, the USCGC Polar Star, recently returned to its home port in Seattle after a voyage to Antarctica that included crew members fighting a fire in an incinerator for 90 minutes and repairing a broken shaft that had allowed water into the ship. It is 43 years old and due for $15 million in upgrades to make it last an additional five years. In an interview, Schultz said that spending money to renovate the aged ship “is not the best investment of dollars, but is necessary considering no replacement is ready. He has advocated a strategy in which six new icebreakers, including three heavy ones, are purchased but acknowledged there may be some wiggle room as long the Coast Guard receives the three heavy ones. Schultz also highlighted efforts to make the service more welcoming to women and minorities, citing a study on retention that the service will unveil next week in which hundreds of female service members were interviewed. A similar study of minorities will begin soon. The plans for change include revising weight standards that disproportionately affect women, easing the service’s tattoo policy and removing some restrictions that were in place on single parents, the admiral said. This article was written by Dan Lamothe from The Washington Post and was legally licensed through the NewsCred publisher network. Please direct all licensing questions to legal@newscred.com.